Shen Fuji was born in Jiangsu province, and practiced both calligraphy and painting. Very little is known about him, and his dates are unrecorded. 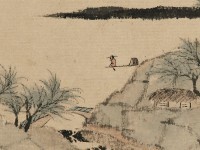 In this painting, he claims to follow the style of Shitian weng, also known as Shen Zhou (1427-1509). Shen Fuji was born in Zhaowen (present-day Changshu) in Jiangsu province, in the Qing dynasty, though his dates are unrecorded. 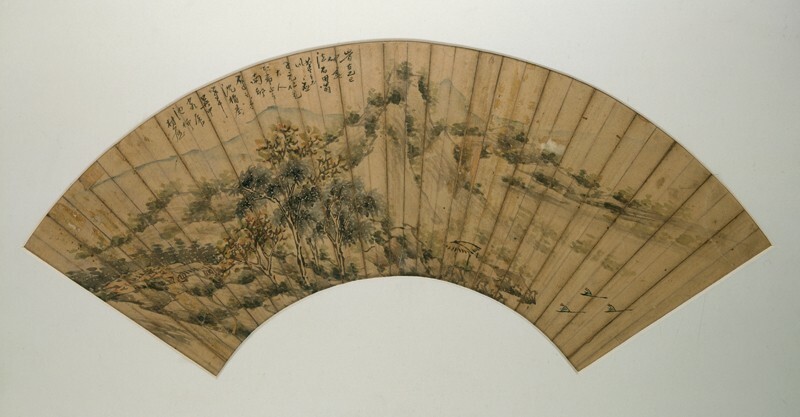 He practised both calligraphy and painting; towards the end of his life he suffered illness and his painting style became increasingly erratic.